Angelina Ballerina Show is a free app that provides the best series of Angelina Ballerina in one video application! 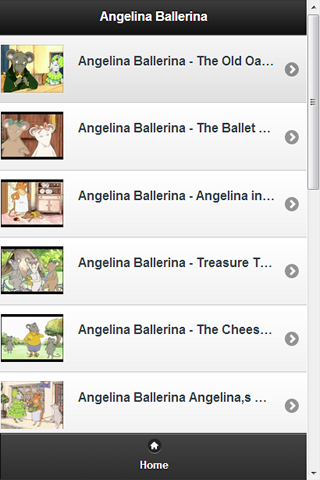 Let your kids watch their favorite Angelina Ballerina cartoons in a safe environment, without other harmful videos. 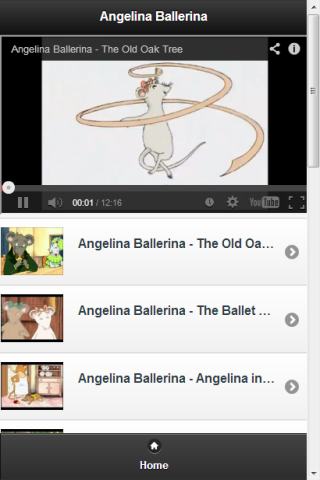 All the best series of Angelina Ballerina in one small video app! *Please note that this app is not official and all videos are shortcuts to the free videos of YouTube DISCLAIMER: The content provided in this application is hosted on YouTube and is available in the public domain. We have not uploaded any videos to YouTube. This application is just an organized way to browse and view YouTube videos in another way. This app is unofficial and is simply a shortcut to the free information offered by youtube. Any problems or suggestions, please contact us. Keywords: Angelina Ballerina, game, characters, dvd, video, house, books, toys, birthday, show, shows, live Any problems or suggestions, please contact us via email.